ISBN: 978 1 78429 668 1. (HB). In this, the third Stephens and Mephisto mystery, the whole of the United Kingdom, indeed, the world, is waiting for the coronation of the young and beautiful Queen Elizabeth which will take place in a few days’ time on 2nd June1953. But prior to the coronation, life has not stopped, and in Brighton Detective Inspector Edgar Stephens is looking into the death of the famous gypsy fortune teller, Madame Zabini (aka Doreen Barton). Then he is called away from the investigation by a telephone call from a General Petre who insists that he must immediately come to London. Once there he finds that an old wartime colleague, Max Mephisto, has also been summoned. Both men had served during the War in a secret unit called The Magic Men whose task was to create illusions that would mislead the Germans. As a music hall artiste whose speciality was magical tricks, Max had been an ideal choice whereas, Edgar who had been wounded during the ill-fated Norway invasion had simply been recruited into the Secret Service by the unit’s commander Colonel Cartwright. And now, General Petre informs them that Cartwright has been murdered in his flat. And on the body is a playing card, an ace of hearts, which magicians call the Blood Card. Another possible magic connection is a newspaper cutting referring to a mind-reading exhibition given by Wild Bill Hitchcock at an Albany State Fair written on which is a U.S. phone number. Petre tells both men to go to Albany to see what the connection might be; Max refuses because he is in a variety show at a London theatre, the Theatre Royal, and with live theatre apparently dying due to the increasing popularity of television he cannot afford to walk out of the show. Edgar, however, does go but finds when he gets to Albany that Wild Bill was run over and killed the day before. And then Edgar himself is nearly run over. Two accidents so close together? Hardly. Meanwhile, back in Brighton, Madame Zabini is about to be buried. Edgar and Sergeant Emma Holmes visit the family the night before the funeral at the request of Madame Zabini’s son Tol (Ptolemy); there has been a hand-delivered letter to their house referring to the Magic Men. And in Madame Zabini’s caravan there is a flyer referring to a variety show in pre-War Liverpool starring a mind-reader, not Wild Bill, but one Tony Mulholland who had also been in the Magic Men. And the same leaflet had been found in Colonel Cartwright’s flat. This is only an indication of the maze into which Edgar, Max and Emma must penetrate before finding out what is behind it all. And to prevent a catastrophe which would totally disrupt the coronation. This cleverly-told story, with its many characters and incidents in the authentically-portrayed early 1950s setting, constitutes an immense yet well-controlled labyrinth which mirrors the world of deception and illusion forming so much of the world in which it takes place. Recommended. 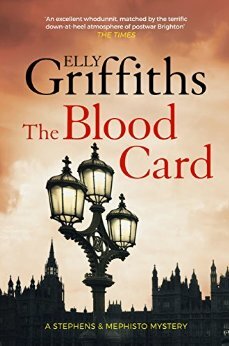 Elly Griffiths is the author of a series of crime novels set in England’s Norfolk county and featuring forensic archaeologist Ruth Galloway. The first in the series, Crossing Places, earned a good deal of praise both in Griffiths’ native country, England, and in the U.S. The Literary Review termed it “a cleverly plotted and extremely interesting first novel, highly recommended. Since then Elly has written eight further novels featuring forensic archaeologist Ruth Galloway. 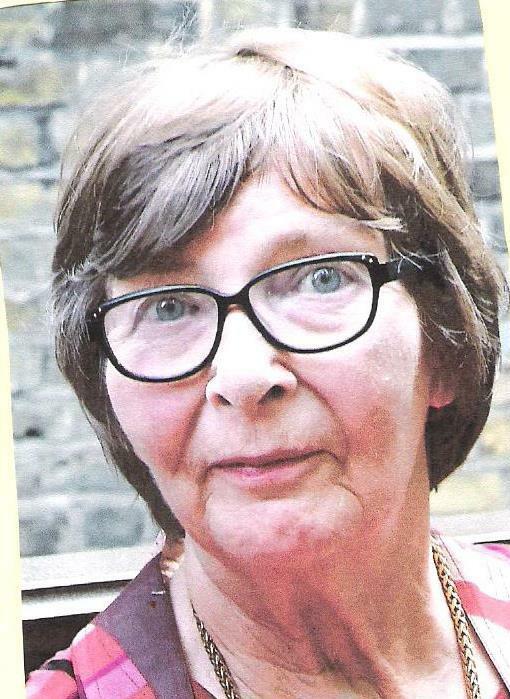 Recently she has written a second series set in the 1950’s featuring magician Max Mephisto and DI Stevens. There are three books in the new series.